The engine is in running condition and was removed from ship which was dismantled at Alang Ship breaking yard in India. Interested clients kindly do contact with your contact details and destination name. 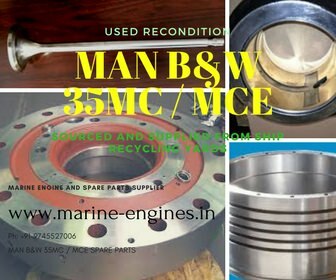 We also source and supply used marine engine spare parts, in good working condition, of MAN B&W marine diesel engines.